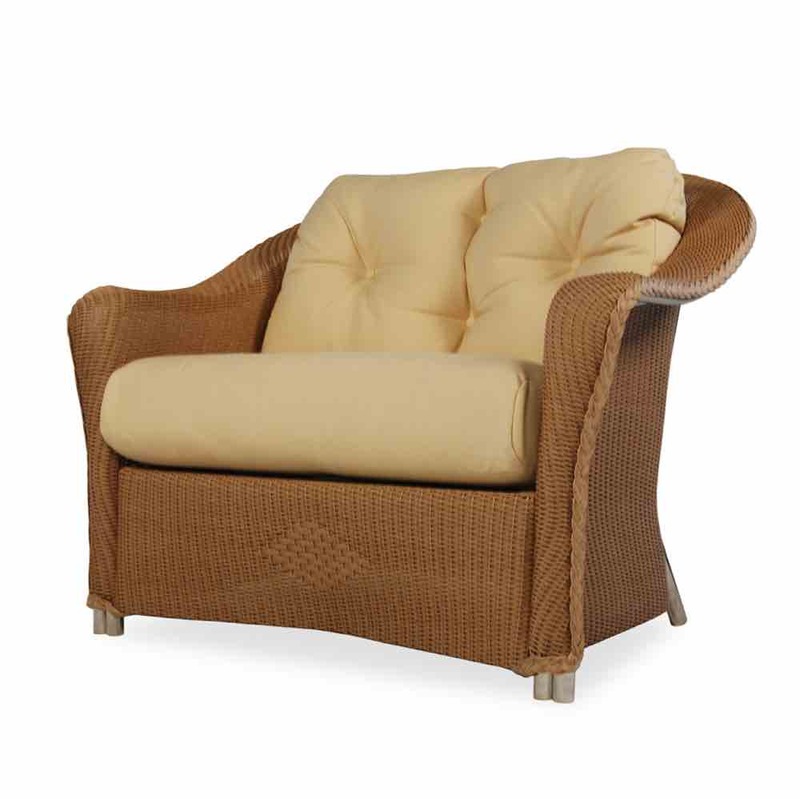 Lloyd Flanders Reflections wicker chair and a half offers old time elegant features along with a comfortable design. For use indoors or outside, this furniture can meet the requirements of just about any decor. 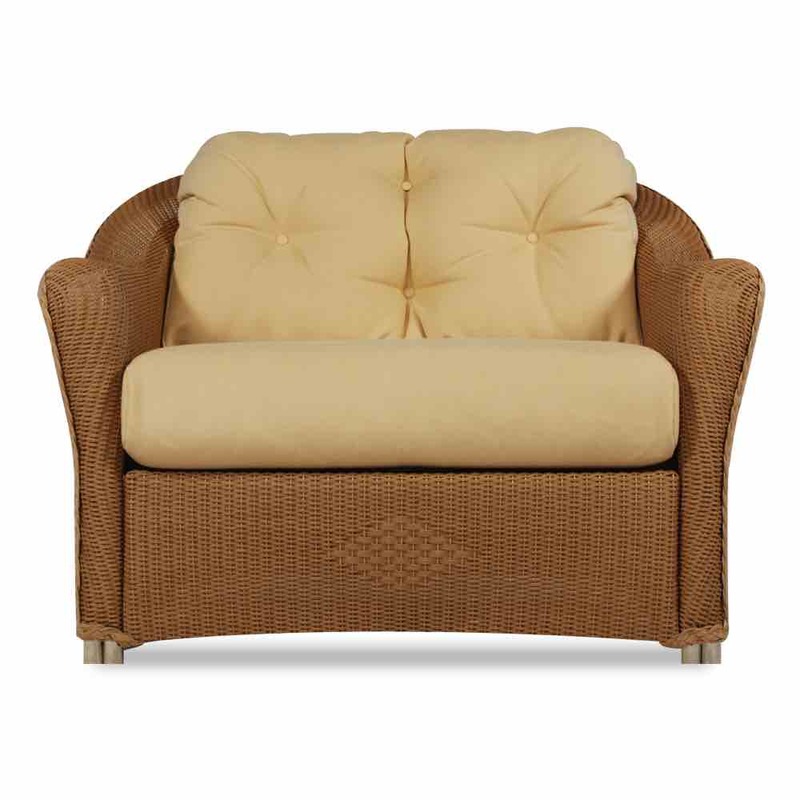 A just right size patio or four season room loveseat that perfect for mother and kiddies or grandma and grand child. Reflections furniture has beautiful frame styling and loom weave cover topped with Lloyd Flanders Cloud Cushioning for luxury and maximum comfort. Seat Height w/o Cushion (in. ):13.